Lawrence Stroll says he bought Force India because it was a "phenomenal business opportunity". The Canadian billionaire and fashion mogul sponsored his teenage son Lance at Williams in 2017 and 2018, but the British team's performance crashed this year. At the same time, Force India - an impressive upper-midfield team - almost collapsed financially. Racing Point F1 into the top three? 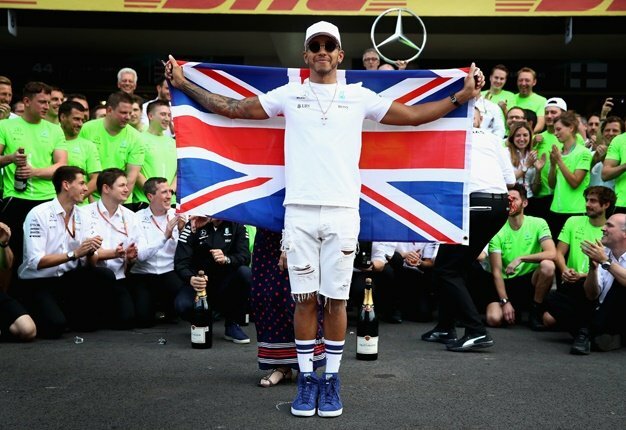 "While I've been a great admirer of the sport and obviously a great supporter since my son has been a driver, I never really anticipated owning a team, wanting a team," Lawrence told the New York Times. "But, put simply, this was a phenomenal business opportunity that presented itself." Stroll, 59, is a leading name behind brands like Pierre Cardin, Ralph Lauren and Tommy Hilfiger, but he said F1 team ownership is normally more for car manufacturers and "fizzy drinks" makers. "If this team had been running last, it wouldn't have worked. It is because of how they have performed, on the budget they have had, that this opportunity has been realised," Stroll said. "I'm not in this for ego. I'm not in this to lose money. I'm in this for the long term, as I have been with every other business I've owned," he added. "That is still to be clarified how well that works out, but there are all the right rumblings, and I've had enough conversations with Chase (Carey) to understand that is the direction they want and need to take the business," he said. Stroll said plans for a new factory and more staff makes the ambition of challenging for "third place" realistic.